Small Rugs - Experience The Exceptional Range At Carpet Court! Selecting a rug for a space can be a difficult task, with so many colours, styles, fibres and sizes to consider. Often overlooked, the size of a rug is an important one to consider - after all - it brings a room together. Carpet Court stock a fantastic range of small rugs from round styles, great for childrens bedrooms to runners which are the perfect solution to any hallway. Browse our collection of small rugs below as well as learn more about their benefits and where best to incorporate one in your home. What are the benefits of having a small rug? One of the main reasons we place rugs in particular areas of the home is to define the space, be it large or small. Small but mighty rugs also add colour and textural design elements to your décor as well as bringing practical benefits to your home such as protecting floor surfaces, providing noise insulation and adding warmth and comfort under foot. The correct size of a rug is determined by the dimensions of the space it is covering and the furniture which is included within that space. In that way small rugs are just as bold and beautiful as large rugs - they just do their job within the smaller spaces of your home. 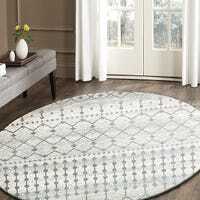 What are the measurements of small rugs? At Carpet Court we have a variety of rugs in different sizes, shapes, colours and textures to enhance any small area within your home. Small bedroom? No problem, we have many beautiful wool rugs to suit such as in the exotic Skandi range with the smallest rugs measuring 2.25m x 1.55m. They may be small, but they make a big impact! 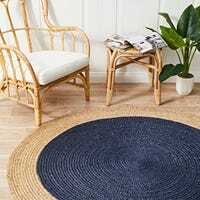 If you want to create an impression in a small area of your home, our gorgeous Evoke rug collection has super cute round rugs measuring 1.5m x 1.5m. For a splash of colour the Atrium Jute rugs at just 1.2m x 1.2m add a little sassiness and style without totally dominating a small space. Where can small rugs be used? A small rug is often the right choice for your kitchen, single bedrooms or sunroom and can be the perfect accessory to an intimate table-for-two small dining setting. Unless you love vacuuming, placing small rugs at the entrances to your home is a clever way to protect your carpets or floating floors from the dirt and debris brought in by foot traffic. What colours and textures do small rugs come in? Don’t underestimate the power of a small rug to make a big splash! At Carpet Court our rugs cover every colour of the rainbow in a great choice of textures. From soft and luxurious pure wool rugs to chic and sassy Jute rugs, you can find small rugs in the same extensive range of colours and textures as our carpets. In a selection of natural earthy colours befitting the great Australian outdoors, our range of Alfresco rugs define even small outdoor spaces with their stunning textures and colours. For your interior, check out the delightful colours of the rugs measuring just 2.25m x 1.55m in our Botanical collection and many others to brighten up any small space. Can you get small rugs for kids' rooms? As the kids’ bedrooms often accommodate just a single bed, our kids’ collection includes a choice of cute and colourful rugs ranging in size upwards from 1.65m x 1.15m and 1.20m x 1.20m. Sweet rugs with themes such as boats and ships, owls, foxes, nautical anchors and more make great additions to your little ones’ rooms while vibrant and lively rugs in bold stripes or vivid rainbow hues add warmth and comfort.